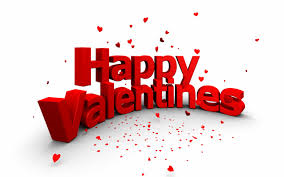 To celebrate Valentine’s Day, I thought I’d share a little of Romancing Robin Hood– my part romance/part medieval mystery novel- with you. 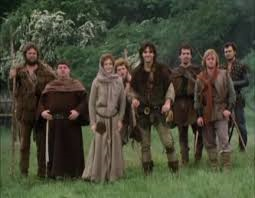 Dr Grace Harper has loved the stories of Robin Hood ever since she first saw them on TV as a girl. Now, with her fortieth birthday just around the corner, she’s a successful academic in Medieval History, with a tenured position at a top university. 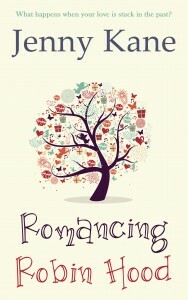 Romancing Robin Hood is a contemporary romance is based on the life of Dr Grace Harper, a medieval history lecturer with a major Robin Hood obsession. So much so, that instead of writing a textbook on medieval life, Grace is secretly writing a novella about a fourteenth century girl called Mathilda, who gets mixed up with a real outlaw family of the day, the Folvilles. As you read Grace’s story, you can read the medieval mystery she is writing alongside! The problem is, Grace is so embroiled in her work and passion for outlaws, that real life is passing her by. …Daisy hadn’t grown up picturing herself floating down the aisle in an over-sequinned ivory frock, nor as a doting parent, looking after triplets and walking a black Labrador. So when, on an out-of-hours trip to the local vet’s surgery she’d met Marcus and discovered that love at first sight wasn’t a myth, it had knocked her for six. She’d been on a late-night emergency dash to the surgery with an owl a neighbour had found injured in the road. Its wing had required a splint, and it was too big a job for only one pair of hands. Daisy had been more than a bit surprised when the locum vet had stirred some long-suppressed feeling of interest in her, and even more amazed when that feeling had been reciprocated. It was all luck, sheer luck. Daisy had always believed that anyone meeting anybody was down to two people meeting at exactly the right place, at exactly the right time, while both feeling precisely the right amount of chemistry. The fact that any couples existed at all seemed to Daisy to be one of the greatest miracles of humanity. She pictured Grace, tucked away in her mad little office only living in the twenty-first century on a part-time basis. Daisy had long since got used to the fact that her closest friend’s mind was more often than not placed firmly in the 1300s. Daisy wished Grace would finish her book. It had become such a part of her. Such an exclusive aim that nothing else seemed to matter very much. Even the job she used to love seemed to be a burden to her now, and Daisy sensed that Grace was beginning to resent the hours it took her away from her life’s work. Maybe if she could get her book over with – get it out of her system – then Grace would stop living in the wrong timeframe. Daisy knew Grace appreciated that she never advised her to find a bloke, settle down, and live ‘happily ever after,’ and she was equally grateful Grace had never once suggested anything similar to her. Now she had Marcus, however, Daisy had begun to want the same contentment for her friend, and had to bite her tongue whenever they spoke on the phone; something that happened less and less these days. The book. That in itself was a problem. Grace’s publishers and colleagues, Daisy knew, were expecting an academic tome. A textbook for future medievalists to ponder over in the university libraries of the world. And, in time, that was exactly what they were going to get, but not yet, for Grace had confided to Daisy that this wasn’t the only thing she was working on, and her textbook was coming a poor third place to work and the other book she couldn’t seem to stop herself from writing. It sounded like a good idea to Daisy, but she also knew, as Grace did, that it was precisely the sort of book academics frowned upon, and she was worried about Grace’s determination to finish it. Daisy thought it would be more sensible to concentrate on one manuscript at a time, and get the dry epic that everyone was expecting out of the way first. Perhaps it would have been completed by now if Grace could focus on one project at a time, rather than it currently being a year in the preparation without a final result in sight. Daisy suspected Grace’s boss had no idea what she was really up to. After all, she was using the same lifetime of research for both manuscripts. She also had an underlying suspicion that subconsciously Grace didn’t want to finish either the textbook or the novel; that her friend was afraid to finish them. After all, what would she fill her hours with once they were done? Daisy’s mobile began to play a tinny version of Nellie the Elephant. She hastily plopped a small black guinea pig, which she’d temporarily called Charcoal, into a run with his numerous friends, and fished her phone from her dungarees pocket. 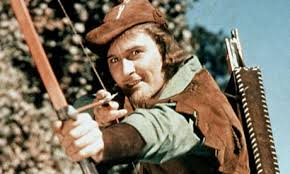 I loved this and can just imagine being obsessed with Robin Hood, we all have such vivid mental images of him, Richard Green, Errol Flynn, Kevin Kostna and then the image we all had growing up, from our own imaginations. Such a fab character to day dream about, to imagine being rescued by, fought over and grabbed by the arm and hauled up on to the back of his saddle….ooer missus,your story has me thinking. I do hope your character comes back into the real world soon otherwise life really will pass her by. But what a way to go.